The Andover Organ Opus 84 is a masterful example of the northern European tracker organ tradition, featuring 31 stops and 38 ranks of pipes and attracting some of the finest organists from around the world. The instrument accompanies weekday liturgies, festival worship, concerts and recitals on a regular basis. 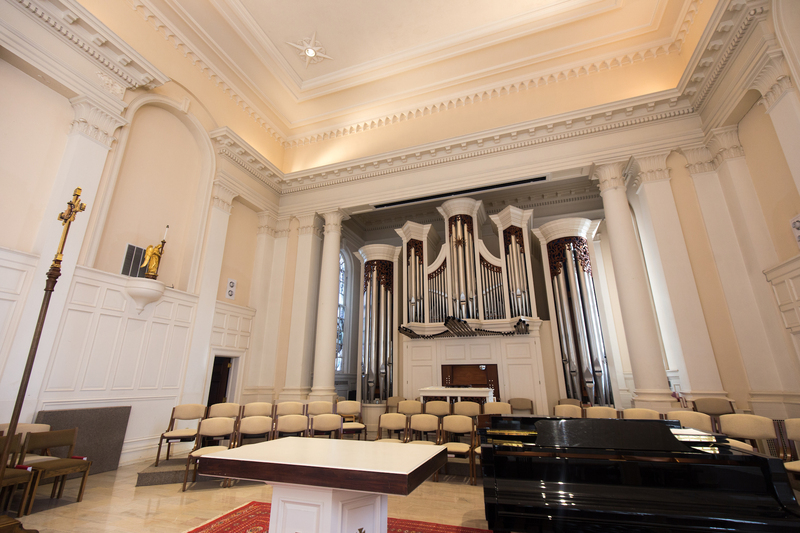 The main organ comprised of the Great, Swell, Pedal and Chamade Divisions was installed in the summer of 1980. The Postive Organ, also built by Andover Organ Co., was installed in 1998 and is now playable on the same manual as the Festive Trumpet.